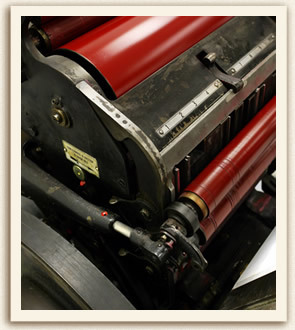 Company - Herdell Printing & Lithographers, Inc.
Herdell Printing was founded by Vaughn and Ardis Herdell in 1951. At the time, we were a general commercial shop that had a focus on monthly publications. Vaughn owned, wrote and published the Redwood Rancher; a monthly agriculture based publication that had circulation in the Napa, Sonoma, Marin and Mendocino Counties. Other periodicals included Airplane Model News, Berglund Tractor Gazette, The Logger of Humboldt County, and Bottles & Bins a publication for C. Mondavi & Sons. In the early sixties, as the grape movement progressed in the Napa Valley, Vaughn and Ardis shifted their focus to wine label production. We have continued to tailor our facility and equipment over three generations to premium quality wine and food label production. Today we print some of the finest labels for many of the finest and rare wineries in California. We take pride in our work like none other, and strive to build long-standing relationships with our customers. We enjoy what we do and it shows in the finished product.